Efforts to bolster research at the University of Guyana (UG) recently were boosted by Caribbean Airlines (CAL) which underwrote attendance by several UG computer scientists at the 2018 Caribbean Academic of Sciences conference, which was held in Jamaica. The four-member team comprised three female computer scientists, some of whom received their first-ever invitations to showcase their research at the prestigious academic gathering. The CAL support follows a meeting between Vice-Chancellor Professor Ivelaw Griffith with CEO of CAL, Mr Garvin Madera, and CAL Guyana Country Manager, Mr Carl Stuart, about formalising a partnership between the airline and the university. The meeting was facilitated by UG Education Resource Ambassador Captain Gerry Gouveia, CEO of Roraima Airways. According to Mr Madera, “Caribbean Airlines is happy to support the University of Guyana in facilitating the travel of four academics to attend the Caribbean Academy of Sciences Conference in Jamaica. As the Region’s leading air carrier, our corporate social responsibility programmes positively impact the communities we serve.” He also noted that “Caribbean Airlines enjoys a legacy of cooperation with the Government and people of Guyana and the Guyanese Diaspora in providing consistent, safe and reliable service. We look forward to building on this relationship in the future”. Vice-Chancellor Griffith remarked, “I’m ecstatic with the reception by CEO Madera of my proposal to establish a broad partnership which will include travel support for staff and students, discount travel for the new petroleum engineering degree programmes being developed with the University of the West Indies and the University of Trinidad and Tobago, and sponsorship and discount travel for the conferences being planned for next year.” UG and CAL expect to formalise their partnership soon with a formal agreement. 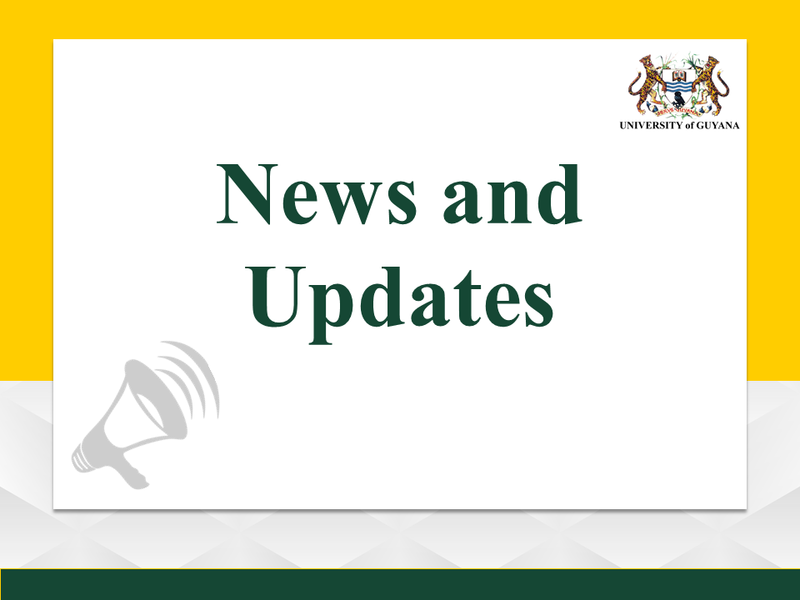 The Vice-Chancellor also stated that during 2019, the University will be hosting the Second Diaspora/Entrepreneurship Conference, the Caribbean Writers Conference, and a conference on The Guiana Shield.